This beautiful puzzle will stretch your child’s imagination and might just get your creative juices flowing as well! ‘Tis a rare thing that can get my four year old son to sit still for any period of time, but puzzles are his weakness. He is enthralled by them, and I have to say he is far more capable at doing quite complicated puzzles than I’d given him credit for. 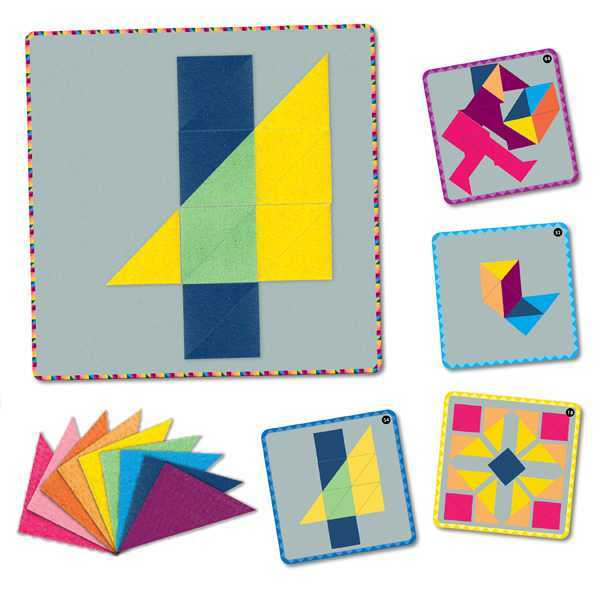 Children get a very real sense of satisfaction from creating something independently, and this great little game is perfect for some quiet time fun. 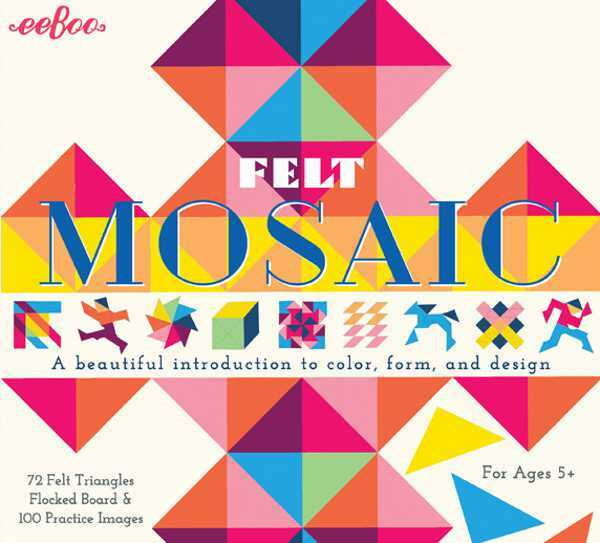 The Eeboo mosaic felt game is simple in its premise, but can be as complicated as your child likes. 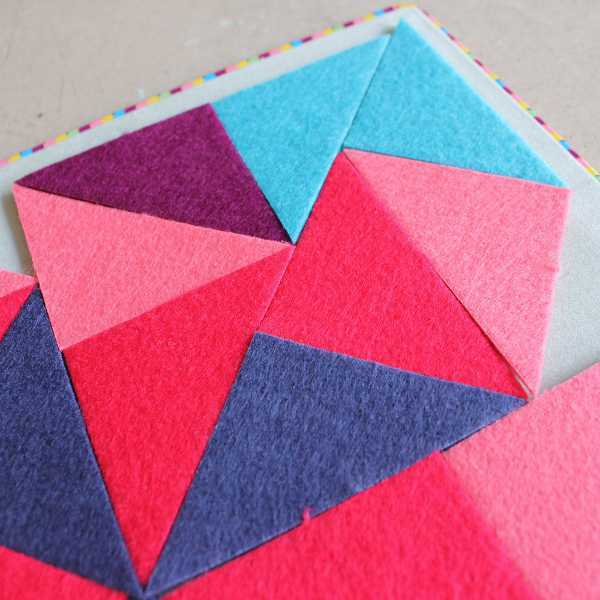 It comes with seventy-two felt triangles that can be arranged in an huge number of different ways, to create patterns and pictures. 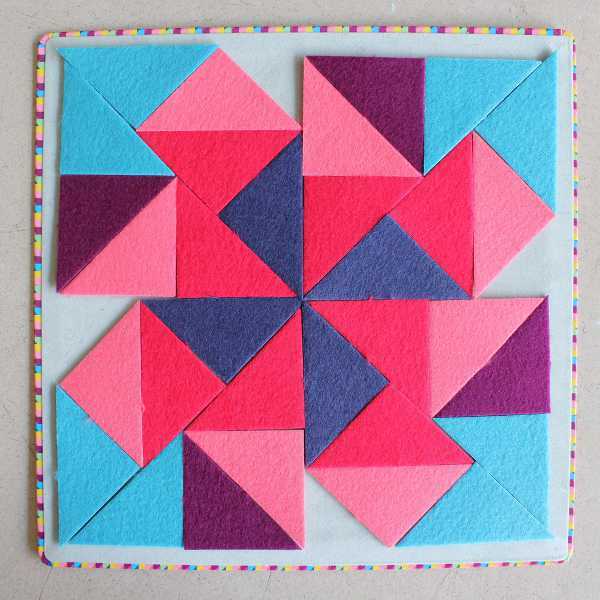 The game comes with a flocked board to arrange the triangles, and one hundred ideas images to practice and perfect. You can purchase the Eeboo felt game locally from Shorties for $29, and it’s recommended for children five years and older.